Business managers often use the term ‘heavy lifting’ to describe their work. And I know first hand that is true. One prime example is Kirchner Group’s “Successor GP” program, which began in 2004, where we take over the management of portfolios of companies. This type of challenge is different every time and requires a lot of heavy lifting from start to finish. But in the end, thanks to that heavy lifting, it pays off. Recently we announced several crystallization events as a result of our efforts. Whether you are managing multi-million dollar takeovers or multi-person offices, on a daily basis you must rise to the challenge of executing your business plan, staying one step ahead of the never-ending competition, adapting to ever-changing macroeconomic factors and handling a growing list of weighty burdens! It is enough to make your head hurt and spin. So let’s think about ‘heavy lifting’ outside of the metaphor for one paragraph. You, yes you reading this – you can only lift as much as your muscles and tendons allow. 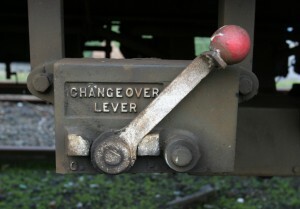 The only way you can exceed your core strength, your inherent strength, is with a lever. And with the proper lever you can move heavy using less force; you can propel faster despite less speed; and you can send an object a lot further with less push/pull. So now back to the metaphorical ‘heavy lifting’ and your reality. Every day as you run your business or manage people, you are being asked to lift more than you can lift – especially if you are running a small to mid-market business. You desperately need a fulcrum and as many levers as you can get. Well – you have the fulcrum in your head – it’s your brain. That also means you have the levers in your head because your brain will discover and power the levers that will do your heavy lifting. The Business Brain Model is a unique approach where you enter the business arena armed with the relevant principles from neuroscience, psychology and related areas in an integrated fashion. This article takes you inside the Business Brain Model to identify levers you have (or can learn) and will need in order to succeed. Just to be clear, I am not suggesting these are magic bullets (or Katniss-like arrows). These are some of the many lessons I have learned from years of looking into what scientists are teaching, proving and adopting in the areas of behavior, brain plasticity, etc. Below is a list of areas that can give you an edge in a world (business) where the difference between success and failure can be centimeters. Included with each area is insight into a lever from that area that will help you exceed your normal lifting potential. Subconscious/Emotions: There has been considerable work done of late (we will talk about this in future articles) illustrating the importance of the subconscious when it comes to making decisions and the emotional component that generates so much of our likes and dislikes. Consequently, the subconscious affects how we relate to people around us and make decisions: 90% of thought is subconscious! Thinking Errors: I promise not to do this often, but sometimes Wikipedia says it best calling a cognitive bias (or what I call a part of thinking errors): “a pattern of deviation in judgment, whereby inferences about other people and situations may be drawn in an illogical fashion.…. Thus, cognitive biases may sometimes lead to perceptual distortion, inaccurate judgment, illogical interpretation, or what is broadly called irrationality”. Non-verbal Communication: This goes so much further than voice inflection and eye rolling. Try touch, proximity, appearance and so on. The spoken word alone has numerous characteristics such as pitch and speaking style. This topic is actually be a series of articles. Making Decisions with Imperfect Information: In business, you always wish for more information. It is not just an issue of quantity but also quality and that includes biases of your source and yourself. As far back as 1979 researchers studied “the bird in the hand” fallacy yet today, people still believe that is strong advice. Environment and Communication: This actually goes into relationship building which is the backbone of good business. I already have a bBlog post coming soon (The Most Difficult Aspect of Business is People) that touches on relationships but that post does not go into the surroundings and how that affects the interaction among those involved. Behavioral Economics: This is linked to Cognitive Biases (what I call “Thinking Errors”) and Making Decisions with Imperfect Information but takes a focus on finance including valuation, tradeoffs and much more. Much has been said about this and I will have my say soon. You could almost argue this was a half article (despite its length) because there are more in-depth posts on each of these (including specific skills) to come. There are also many more levers in my mind but you will need to stay tuned in order to stay informed and stay ahead.